"I have never seen my husband so excited. He was like a little boy. He doesn't really get excited about anything but this experience was amazing. He will definitely do it again." "Awesome experience. Had a smile on my face for 2 straight days after experience." "This was a surprise for my husband's 50th birthday and it turned out to be a terrific day! Everyone was over the top friendly and helpful and it totally made the experience for us!" For an exotic car racing experience unlike any other, hop behind the wheel of a true engineering masterpiece: the Ferrari. Maybe this is the race car driving gift for men and women you've been eagerly waiting to give someone; or maybe you're hoping to conquer a wish on your own bucket list. Whatever your motivation for checking out exotic car experiences that entail flashy Ferrari wheels, you've come to the right place! With various models to choose from (subject to track location and availability), it's never been more fun to pick out the perfect type of Italian horsepower! The F430 F1, 458 Italia, and 430 Scuderia all bring the most enticing options to the table, when it comes to embarking on the ultimate (and most unforgettable) driving experience. 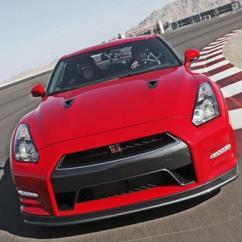 Just imagine hopping behind the likes of a 490 horsepower engine. Let that sink in for a moment. 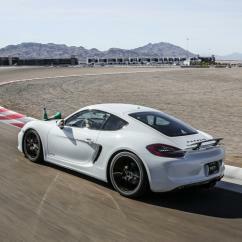 Then imagine what that much power is capable of on a road course, full of straights and hairpin turns. Feel like making some tires squeal? 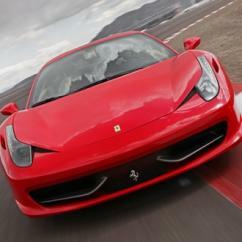 Push the limits of a 4.3L V8 Ferrari F430 F1 on the exotic car racing experience of a lifetime! 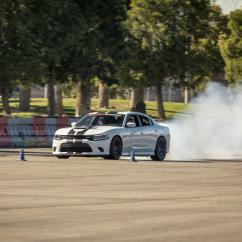 Hit 60 MPH in just 3.9 seconds, with 100 MPH not far behind at an impressive 8.8 seconds. Capable of topping out at unfathomable speeds, just imagine the way your heart will race from behind the wheel of a Ferrari F430 F1! Although known by most as the successor to the F430, this brilliant Ferrari model has proven to be an entity all its own. The 458 Italia truly exemplifies the spirit of race car driving, with the roots of its design coming from Formula 1 car racing influences and technologies. That said, it's no surprise that this remarkable vehicle sports a 570 horsepower engine, featuring a 4.5L V8. Know what that means? From a stop, 60 MPH will happen in about 3.3 seconds! 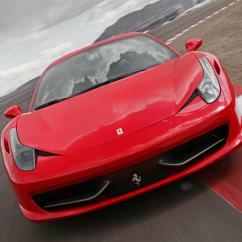 This Ferrari's name literally means "stable of horses," so you can only imagine the power that's housed under the hood! 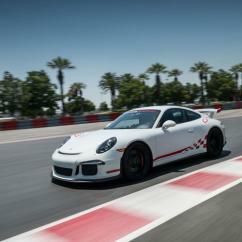 The motivation behind this model was to give the Porsche RS and Lamborghini Gallardo some friendly competition. And that it does! The Scuderia goes from zero to 60 MPH in only 3.6 seconds, and is capable of hitting the 100 MPH mark in a swift 7.8 seconds. It's no wonder this set of wheels is one of the most highly-sought Ferrari driving experiences! 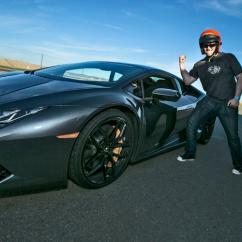 If the name of your favorite exotic car experience game is "Lamborghini," then you're in luck! Cloud 9 Living's unique gifts for men and women proudly offers a host of extraordinary ways to burn rubber with Lamborghini wheels. Find a track near you, then buckle up to let the good times roll, with one of the most enticing exotic car racing outings around! Models like the Gallardo, Huracan and Superleggera offer a variety of souped-up specs and extraordinary speed for the track. The fast 'n' flashy design of these supercars means that time spent behind the wheel won't just be memorable — it will be a dream come true! This Italian supercar has been overwhelmingly popular since its debut in 2007, making it Lamborghini's best-selling model. More specifically, the LP560-4, comes loaded with blow-your-mind specs that need to be seen (or better yet—driven) to believe! Capable of hitting 60 MPH in just 3.7 seconds, and reaching 129 MPH on only a quarter-mile straightaway, this car is nothing short of a beast! 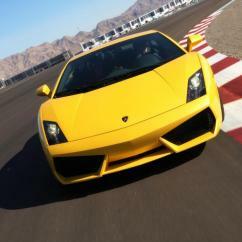 Hands down, the Gallardo delivers an unparalleled exotic car experience for novice and veteran sports car drivers alike. The futuristic successor to the iconic Gallardo, this fierce set of wheels is capable of going from zero to 60 MPH in just 3.2 seconds! 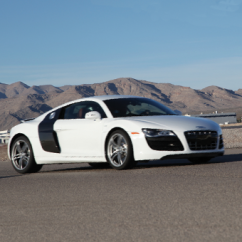 Packed with a 5.2L V10 engine, it truly embodies the essence of a 600+ horsepower supercar. 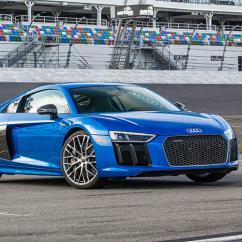 Covering a quarter-mile of territory is hardly a challenge for this magnificent vehicle, which gets it done in only 10.4 seconds at approximately 135 MPH. Hop into the driver's seat of this impressive Lamborghini to feel for yourself just why it's an engine well worth revving for an exotic racing experience. Dubbed "the best Gallardo ever," this incredible exotic car is loaded with 540 Nm of torque. So when it comes to hitting 60 MPH, 3.0 seconds is all this Italian beauty needs. Hoping to hit 100 MPH? 6.8 seconds gets it done! And if tackling a quarter-mile of open road is called for, the Superleggera boasts a fast 'n' furious 11-second stretch at 128 MPH, making it the ultimate contender for exotic car racing. 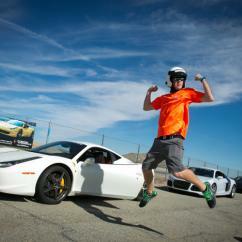 Find plenty of ways to enjoy exotic racing, that extend well beyond rubber-burnin' Ferraris and Lamborghinis! Head for top speeds in hot rods that come with heart-pounding power, giving foreign counterparts plenty of friendly competition. 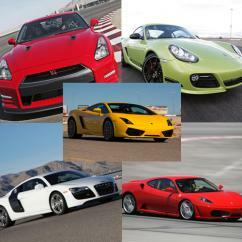 Tackle tracks in the U.S. with wheels from the likes of Nissan, Porsche, Aston Martin, and more! Unleash your inner 007 hero from behind the wheel of an authentic Aston Martin! 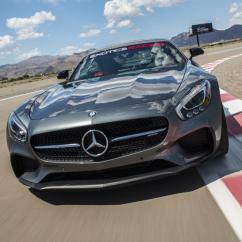 See if you have what it takes to be as bold as Bond while you make your way around the hairpin turns and straightaways of the U.S.'s most renowned exotic car racing road courses. 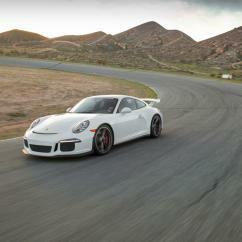 Saddle up to handle the horsepower of a Porsche, experiencing one of the most luxurious sports cars on the planet. With stunning speed and performance capabilities, the models that come with this impressive German name are guaranteed to deliver a great ride! No collection of exotic car gifts for men and women experiences would be complete without Nissan — specifically the GT-R. Powered by a 3.8 L twin turbocharged engine, generating 530 in horsepower, it's no shock that this car can hit 60 MPH in roughly three seconds. Not only does it turn heads among car buffs and the general public, but it is also held in high esteem among the brains of auto operations across the globe. 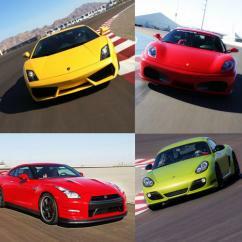 Can't decide on just one exotic car to race around in? Don't! 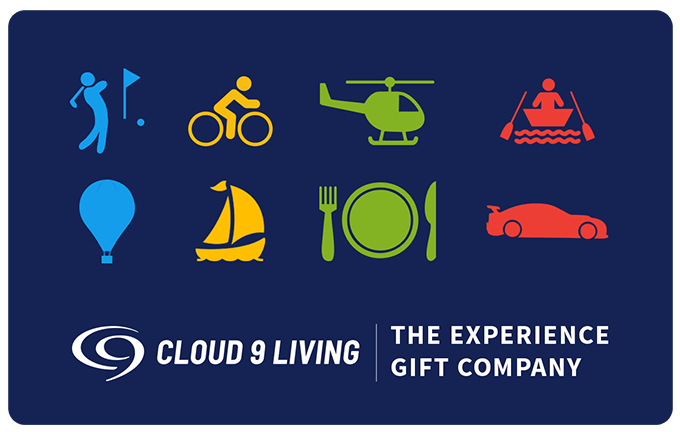 Take a driving experience to the next level by revving multiple engines with a combo package from Cloud 9 Living. 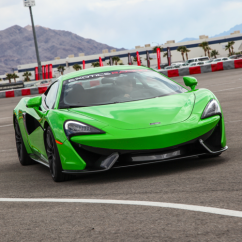 Put the pedal to the metal for a few laps around a road course, mixing and matching exotic car experiences to drive all of your favorites in one unforgettable day at the track! And don't forget to check out experiences with Corvettes, Mustangs, BMWs and more, too! 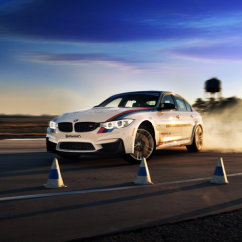 With performance driving schools, stunt training and high-speed thrill rides available, even if the cars aren't traditionally "exotic" by the standards of the auto world, the style of driving sure will be!